BOUNDER Plus H-Frame Power Wheelchair. Ideal for active individuals. Off-Road Power Wheelchair. Great for people who take their chair off the pavement. 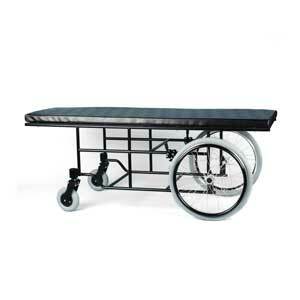 Bounder 300M H-Frame is configured to meet Medicare's Group 3 K0861 requirements More information. Big BOUNDER H-Frame. Custom built Power chair for bariatric users up to 1000 lb. Bounder Plus H-Frame with extra narrow option. Overall widths as narrow as 21.5". Ideal for pediatric & small adult use. Traditional styling for long-time power chair users. Features 20" drive wheels and sling upholstery. Various power seating systems are available including our extra high 13" power seat elevator. More information. Rear View Mirror,Electric Leg Bag Emptier, Lighting Package, Horn, etc. Can be Installed on any 24V power chair. 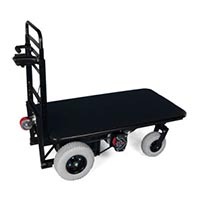 Motorized Carts, Patient Transport Gurneys, Anglewright Height Gauge, Etc.